20 year-old Harry Styles died all too soon and left his family and beloved ones in the world of the living. He crossed the bridge into the afterlife, not knowing what to expect. Death is not relaxing and afterlife isn’t just an eternity of leisure; Harry has to work. The Council has assigned him a job, he now is a Soul Catcher, i.e. he has to catch lost souls that remain on earth after their deaths. But that’s not all. Harry’s afterlife is brimming with secrets he yet has to discover. And things only threaten to get more difficult when an annoying soul decides to make afterlife a living hell for Harry. Will he find his way and get used to his afterlife – or will he break all the rules? WARNING: some scenes may be with sexual content. 05 - Well done, Styles! 20 - Where Are You? After successfully escaping a lethal gang that endangered their lives, Zoey and Harry think they can finally live in peace. Reality just doesn’t want to play along and perils threat the newly couple. Can they save themselves and their relationship or will destiny destroy everything they’ve worked for? THE STORY CONTAINS SEXUAL CONTENT! PLEASE READ AT YOUR OWN DISCRETION! Everyone knows that bad girls have more fun. Take, for example, Zoey Clark. She uses far too much make up, hooks up with everyone and doesn’t take life too seriously. When she meets Harry Styles, her life is about to be turned upside down. But what about her affair with Louis Tomlinson? Yes, bad girls have more fun but Zoey apparently has had enough. 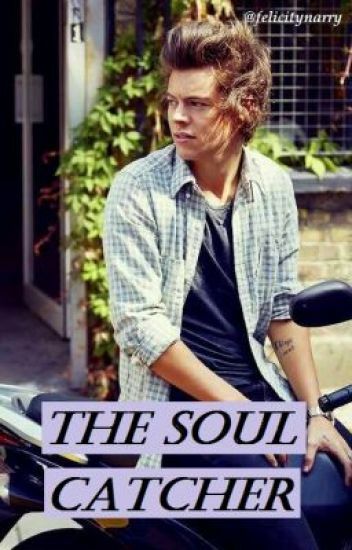 A story about Harry set in a post-apocalyptic world, trying to find his way back home. The shy girl who lets herself commit to her self-conscious issues and a boy who just wants to find himself come together to try to figure out their reason in life together. On December 19th, 2014, Harry Styles was involved in a hit and run. Now, his presence lurks the vintage house of Arkendale; a small town in England, trying to find the strength to awaken from his four year coma, with the help of Aria Collins. He was the boy who wished to be free from fear. She was the one he found comfort in. A dysfunctional love story about a boy with anxiety and a girl who wants nothing more than to reach out to him. A nervous boy intimidated by pretty outspoken girls meets just that. A hard headed girl, who enjoys nothing more than drawing alone in the woods, and isn't afraid to speak her mind. Who knew meeting each other in the woods, in the middle of the night would lead to something like this? The journey of a boy with eternal life in his search for love. - adjective characterised or involving indiscriminate mingling or association, especially having sexual relations(...)' one thing Laurali Hudson (a third year university student, who was raised by honest, Christian parents and had the most perfect boyfriend a girl could ask for) never imagined she'd be when she first set foot into the small, intimate concert venue of her best friend's favourite band. Join Laurie as she accidentally gets involved with a super shady organisation, discovers that love isn't always what it's cracked out to be and maybe, just maybe, ends up creating her own unforgettable love story. "Normality became a distant serenity and their future everlasting..."